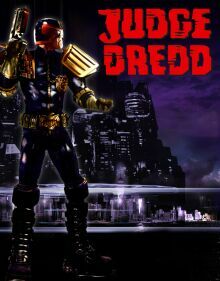 JUDGE DREDD, perhaps the most famous comic book character to come out of England, was the subject of a 1995 Buena Vista film that starred Sylvester Stallone. Created by John Wagner and Carlos Ezquerra, JUDGE DREDD is a heroic law keeper of a 22nd century metropolis whose mantra is "I am the Law". Morris Ruskin, co-partner of Shoreline confirmed "We are reinventing the franchise by taking it back to the edge and style of the original comic book. 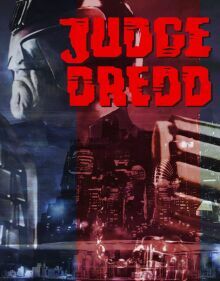 JUDGE DREDD is the perfect movie for today's market as Dredd is a superhero who speeds through urban decay with exciting characters, true stories and fast paced action." Ruskin and Pike will produce JUDGE DREDD with Jason Kingsley and Andy Prendergast of Rebellion. Rebellion is the computer game creator that is most famous for the Alien vs. Predator game. Rebellion recently bought the rights to the 2000 AD comic book so they could turn the JUDGE DREDD franchise into a computer game. Jason Kingsley, CEO of Rebellion said, "We are really excited about the Dredd franchise going into production and aim to release the 'Dredd Vs Death' game to coincide with the release of the film." Rebellion has also made inroads in the world of film through their production arm Fearnort Films by producing "EVIL ELVIS" and "King Of The Castle". Producer Andy Prendergast stated: "The 2000AD world has enormous film potential Dredd is just the beginning for the big screen interpretation of this incredible world of characters." The first movie is called Judge Dredd: Dredd Reckoning and this will be followed by Judge Dredd: Possession. Vicky Pike, co-partner of Shoreline justified Shoreline's commitment to shoot the movies back to back by explaining, "This is a great time for movies about superheroes and there are thousands of Judge Dredd stories so there is endless material available to work with. It will also be easier to brand the movies by presenting them back-to-back." In Dredd Reckoning, Judge Dredd looses confidence in his corrupt legal system and has to face the consequence of his own doubts. In Possession, Judge Dredd has to justify the right to life when Judge Death comes to town and wants to exterminate the population so that a supernatural world can be created. Shoreline is also handling international sales on THE MAN FROM ELYSIAN FIELDS that had its worldwide premiere at the Toronto Film Festival. The film stars Andy Garcia, Mick Jagger, Julianna Margulies, Olivia Williams, James Coburn and Anjelica Huston. Ruskin and Pike also recently completed actioner TAIL STING and are about to commence filming, Beeper, a new action movie to be shot at Ramoji Film City in India, directed by Jack Sholder.